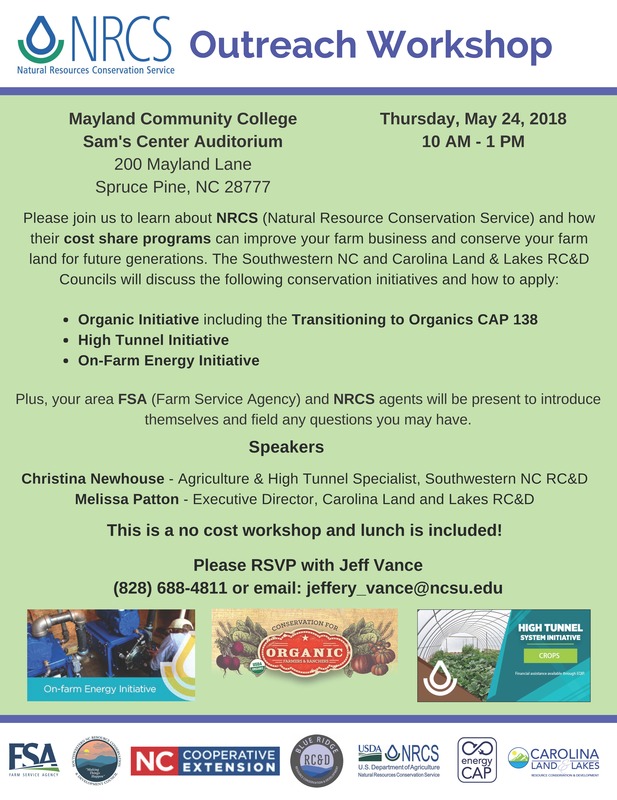 Please join us to learn about NRCS and how their cost-share programs can improve your farm business and conserve your farmland for future generations. Thursday, May 24, 10:00 a.m. to 1:00 p.m..
Maryland Community College, Sam’s Center Auditorium, 200 Maryland Lane, Spruce Pine, NC 28777. Please RSVP with Jeff Vance at 828-688-4811, or by email: jeffery_vance@ncsu.edu. More information can be found on our NCRS Outreach flyer.